When the old Bancroft Bank Building met the wrecking ball a few years ago, the site, at 3 West 29th Street, was tentatively planned to give rise to a residential tower designed by Moshe Safdie. In September of 2017, that changed, when HFZ Capital filed plans for a Bjarke Ingels-designed office skyscraper, as reported by YIMBY. Now, we have the exclusive reveal for the first renderings of the new building, which will apparently be even more prominent on the skyline than originally planned. 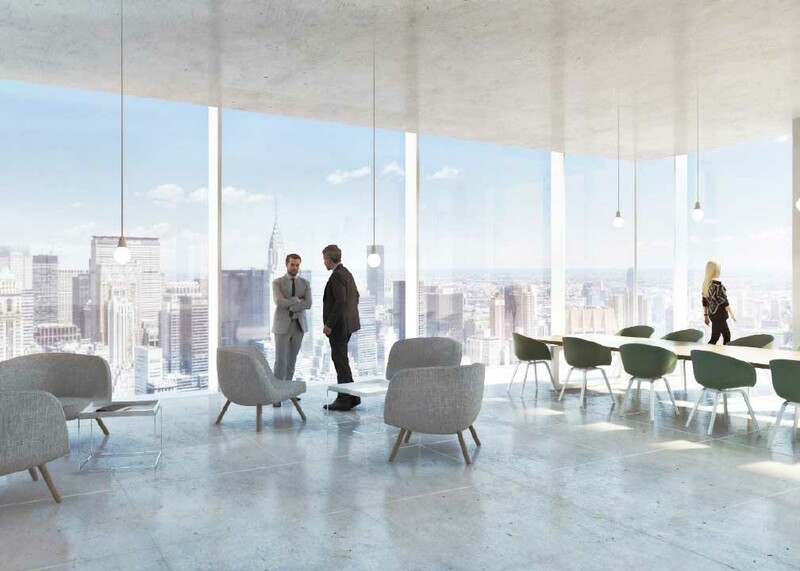 The building will incorporate a LEED certified design and highly amenitized offering package promoting employee connectivity, communal workspaces, and fitness options that will pioneer a new frontier of wellness and sustainability within the workplace. The building is designed with smaller 13,400 square foot floorplates that will attract an underserved market while leaving ample lot area to design a vibrant park surrounding the building. The last part of the description is what’s critical to the eventual density, with the site’s developer utilizing the plaza bonus and neighboring air rights in order to build the new office space. According to the applications filed with the Department of Buildings as of September, 300,000 square feet will be contained with a 34-story and 551-foot envelope. 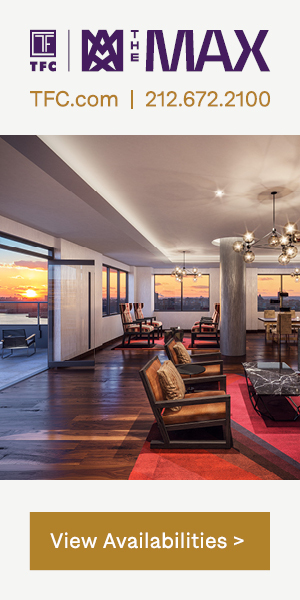 While the DOB filings from September show 34 floors, the first renderings of the project paint a picture that is substantially different. 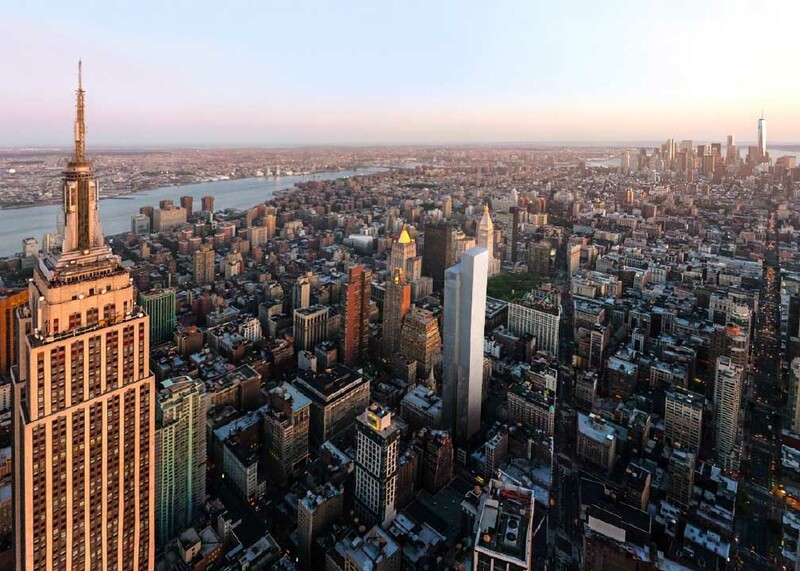 A rough count reveals approximately 60 stories in the version depicted in the images, which would correlate with a roof height of approximately 800 to 850 feet above street level. That also portends a much larger overall footprint, possibly approaching 600,000 square feet. 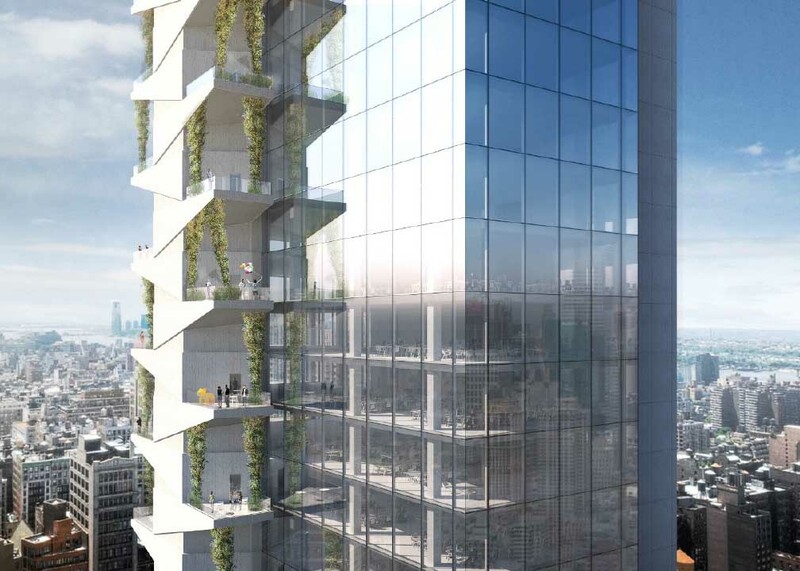 Despite the apparent height decrease last year, the plans by BIG may end up matching or exceeding the original residential iteration by Safdie. A source tells YIMBY that the initial building applications were submitted so that foundation work could begin ahead of the submission of the actual plans. 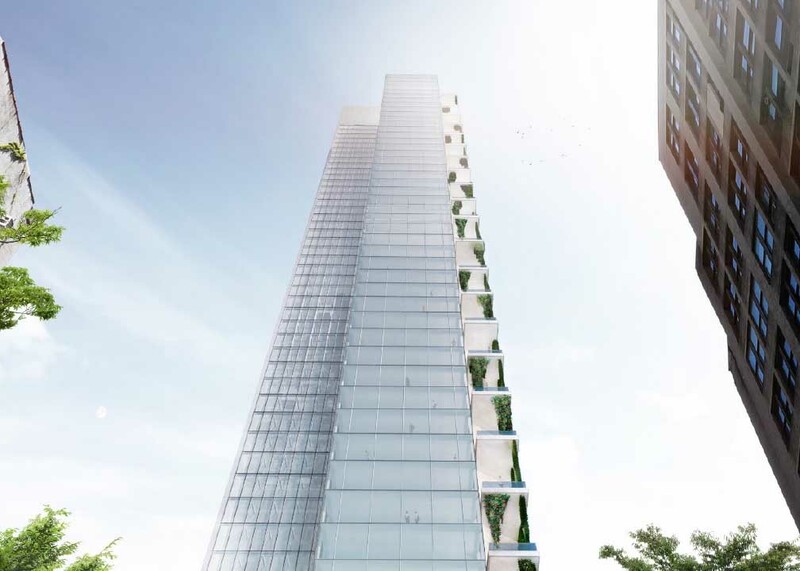 Design-wise, the structure will be both broad and tall, with a glass envelope. 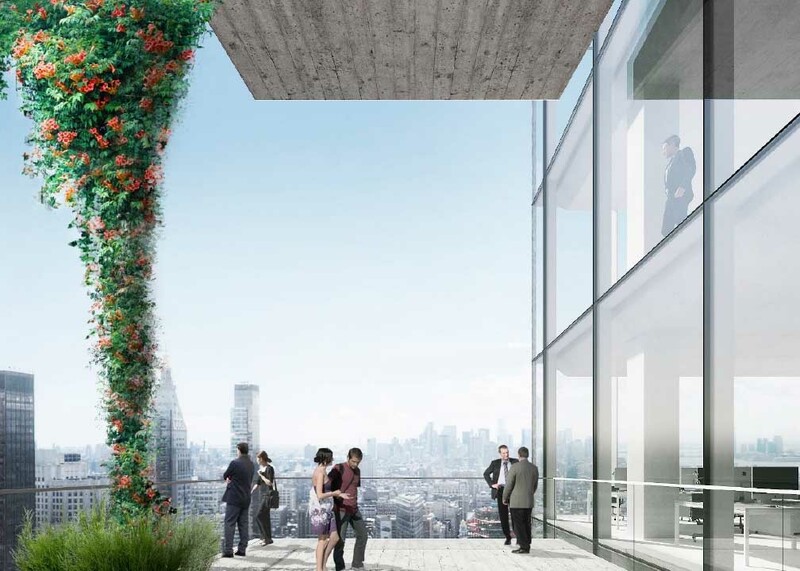 Flair will consist of a series of terraces along the eastern side of the skyscraper, with each floor set to have its own outdoor space. 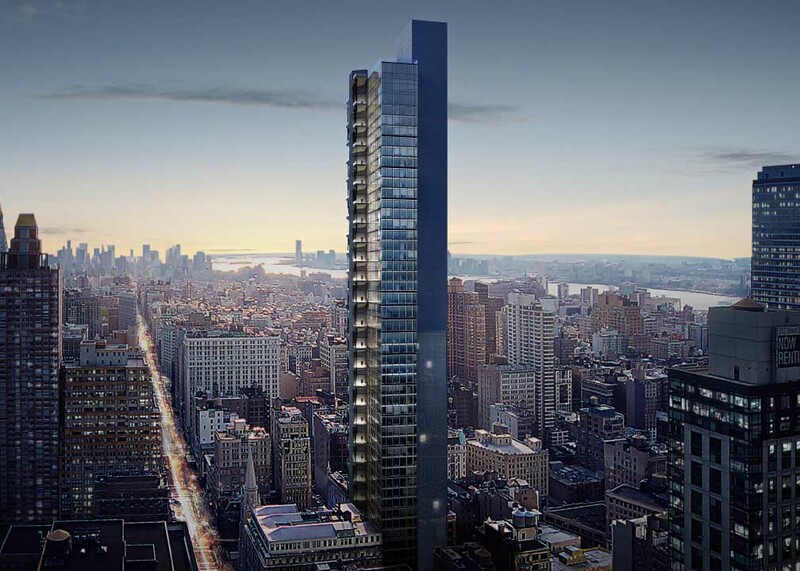 In this regard, it appears the project is similar to Tishman Speyer’s Spiral, also designed by BIG, which is under construction on the Far West Side. 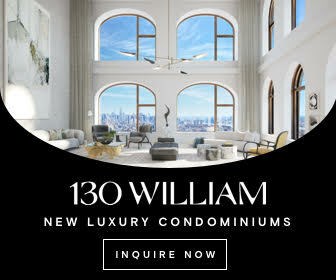 As for 3 West 29th Street, the project has been officially dubbed “29th and 5th” according to the marketing materials. 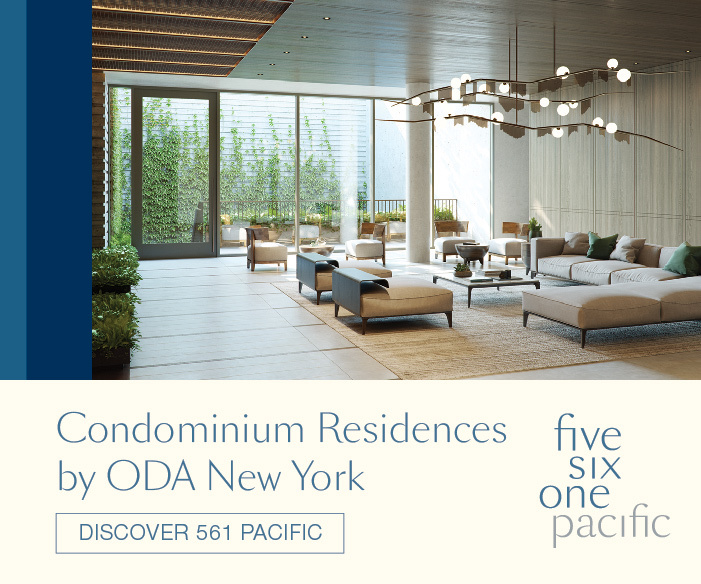 It also has an address at 8 West 30th Street. No formal completion date has yet been announced, but with groundwork underway, things are already moving forward. HFZ assembled the air rights from several adjacent properties, including Gilsey House, as YIMBY previously reported. 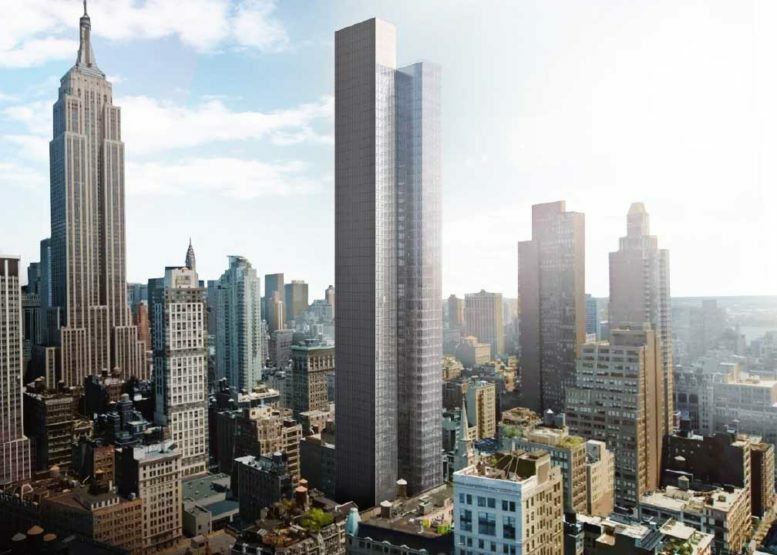 The transfer of that square footage required approval by the Landmarks Preservation Commission, which was granted, conditioned on the base of the new tower matching its neighbors. Whether the new design must go through the LPC once more remains to be seen, but the similarities in scope could mean construction has no remaining obstacles. Completion by 2021 would seem to be a reasonable estimate, and HFZ KIK 30th Street LLC is the official entity behind the building applications. 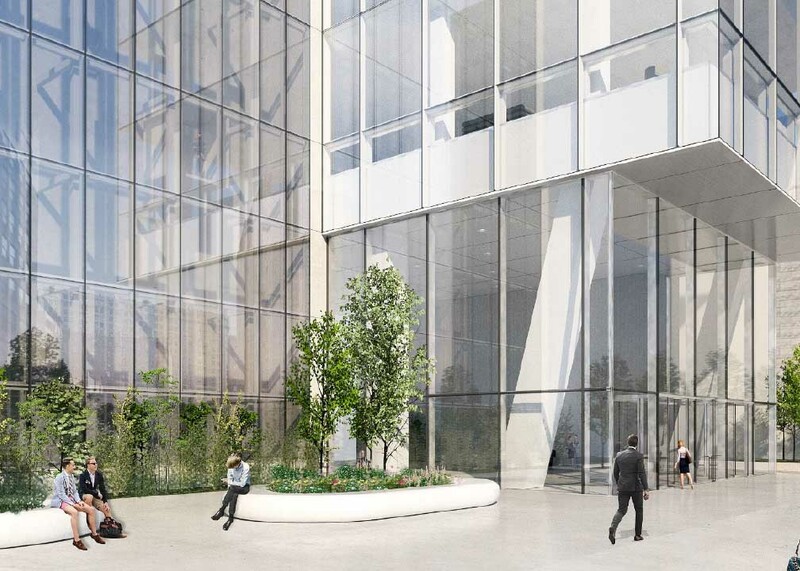 18 Comments on "Bjarke Ingels-Designed “29th & 5th” Revealed, HFZ Capital’s New NoMad Office Tower at 3 West 29th Street"
This building is bland and hideous compared to what was in it’s place…. 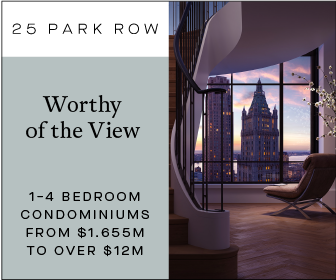 More importantly I am concerned it will block the view of the Empire State Building from a significant portion of lower manhattan. such a sad reality. The loss of the beautiful Bancroft building for this POS. 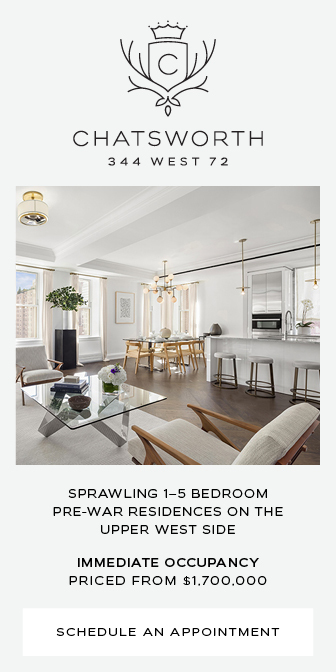 Not only “bland and hideous” but it will be directly in front of the Empire State Building separated by only three short blocks. This is a huge mistake that will forever eliminate one of the most famous city views in the world. If 200′ could arbitrarily be chopped off Nouvel’s wonderful 53W53, this terrible monument to yet more extreme wealth should be cut in half. Absolutely gorgeous just a question which is the underserved market that you are referring ok n the upper paragraph? Please pardon me for using your spaace: American looking to new progress on the plan. Hey David, can we set up a meet & greet… Please pardon me for using your space but I’m really looking forward! I like Bjarke, but this is disappointing. Looks like Bjarke jumped the shark… or BIG jumped the Bjarke. I think this building looks terrific! Great addition to NY Skyline! Bjarke is a truly inspirational speaker but a lot of the stuff coming out of his office is absolute crap such as this. He or his client should also engage a decent rendering company instead of juniors in his office. these very exposed and windswept “terraces ” along the side of the building will be. This is a step backwards. No passion, no joy. Realy sad. Preserve Empire State Building! This is horrendous. The Bancroft building was beautiful and had a magical glow in the early morning and evening. Meanwhile this uninspired building obstructs a historic landmark for residents and many visitors to NYC. It is a visual insult. How is this even conceivable in the middle of a major city among so many historical landmarks? The demolition of the Bancroft building was one casualty. But does anyone have an update on the case of the beautiful 19C Italianate office building in the middle of this proposed lot (9 West 29th)? The owner had refused to sell: like so many others it was conveniently gutted by a mysterious fire, which started in the basement on a Sunday at 1 in the morning last October, when it was sure to be empty. Nobody was killed but 10 firefighters were injured. It was treated as a crime scene for a week but otherwise we’re back to business as usual for the developers.